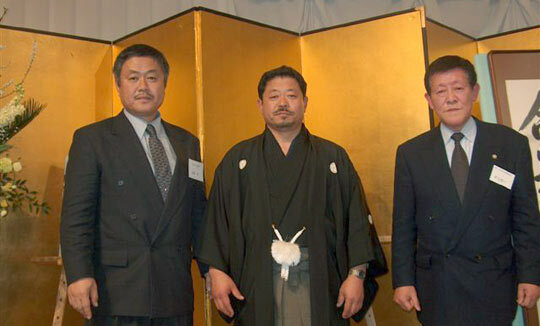 Reflections on Attending Iwama Shin Shin Aiki Shurenkai Founding Celebration. Where to begin. I have just returned from a trip to Japan where I attended Hitohiro Saito Sensei’s Iwama Shin Shin Aiki Shurenkai Founding Celebration. It was an occasion for celebration, and yet there were undercurrents of gray that at times shadowed the event. 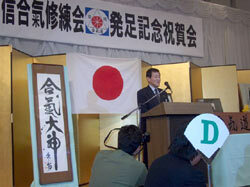 “About 350 people attended the celebration” Hitohiro Saito Sensei told me. “I had planned for 325, I guess a few people changed their minds at the last minute and decided to come”. He told me this the morning after the celebration while he was busy helping to prepare breakfast for guests and his students that stayed at the dojo. I was amazed at his energy after hosting such a grand event. Hitohiro Saito Sensei was born in Iwama, a town in Ibaraki Prefecture that has played a major role in the history of Aikido. When the Founder of Aikido, Morihei Ueshiba was alive and living in Iwama, Hitohiro was a small child, and used to tug on the Founder’s hair and beard. Hitohiro was truly an Aikido baby! He was born to his father, the late Morihiro Saito Shihan Aikikai Shihan 9th Dan, who practiced directly under the Founder for 23 years and after the Founder’s death, was the keeper of the Aiki Shrine and Iwama dojo for 33 years. In 2002 he passed away carrying with him the legacy of being one of the most famous Aikido instructors in the world. Hitohiro was born into this legacy, and in a sense had an Aikido pedigree from birth. People associated with Aikido in Iwama and indeed around the world, were surprised when Hitohiro Sensei announced that he was going to leave this legacy to start an organization on his own. It was a decision that threw many people’s lives into turmoil. Many were forced to make decisions about their own loyalties and future; a choice to stay with Aikikai or follow Hitohiro Sensei. A choice that no one thought they would have to make a few years ago. Those close to Hitohiro Sensei however, were not surprised by his decision. Those who know him well, have known that Hitohiro Sensei has faced inner turmoil that even a thousand pages of text could not describe. For them, stepping out on his own was the next logical step. Iwama being a country town, is built on country town relationships. Those that have lived there a long time know everyone else, and everyone else even knows the grandparents and possibly great grandparents of everyone! This type of community dynamic is not limited only to Iwama; it is prevalent in small towns and communities around the world. In this kind of environment, when the news started to break, I can imagine it became a town secret that everyone knew but were unwilling to face; knowing the ultimate choices Hitohiro’s decision might force them to make. As most people of Iwama are good at heart, no one wanted to face choosing sides or splitting loyalties. It is like the reality children face when dealing with divorcing parents. In human history, there have been great leaders who have been deposed and cast out or chosen a path of their own. Even as children we were told stories like these, and as adults they are a great study in our human history. For Japanese people, these stories pluck at the heart strings, and are a reflection of Japanese attitudes. So as Hitohiro Sensei has made his decisions, they have touched my heart as well. Whenever I go back to Japan, if I get the chance, I like to visit Mount Koya which sits near the city of Tanabe, the birthplace of the Founder Morihei Ueshiba. Mout Koya is home to a vast number of temples, sanctuaries and resting places, some which date back to 819 AD. There is one stone pathway (sando) that I choose to walk when I visit Mount Koya. It is a pathway made of stone that has been walked by so many thousands of people over the centuries that groves have been worn down the center of the stone path. This pathway leads through ancient graveyards overhung by giant trees centuries old as are some of the graves. The graves are covered with moss, and crumble with age. Some have been there for so many hundreds of years that they have buckled with the shifting of the earth and the passage of time. When I walk on this pathway through the graveyard I can hear the cries of the warriors in battle, the screams of agony and death, and feel the bitterness of arguments flying overhead like the arrows that fell many of the Samurai buried here. Many heads were lost among these dead; many heads taken in the names of intrigue, betrayal, and greed, all of common maladies that have plagued mankind in every generation. You can still hear the whispering of the lost there among the graves. What strikes me as I have walked there is that ultimately, enemies, warriors, the loyal and the wicked, the strong and the weak, leaders that were loved and their loyal followers all finally lay side by side together, literally feet from one another in this sacred place. 1200 years of history lay calm and silent as I walk there. The cycles of history have forever gone on, and to feel the history of this place gives me chills and goose bumps, and I am sure I am not the only one who passes through this place that feels this way. Thinking of Mount Koya seems to put our lives in a greater perspective. Returning my thoughts to Iwama, I think about the significance of Hitohiro Sensei’s independence in a grander view. If you look through the eye of the span of history, this event is as small as the movement of an ant from an airplane in flight. In this light, making negative judgments about this small turn in history holds no merit. Hitohiro Sensei’s decisions are part of his life and the lives of those to choose to travel with him. I see no reason why even those who choose not to follow cannot raise a glass to toast his life and his future. Hitohiro Sensei has taken much criticism for his decisions by those that stand in judgments and has taken it in stride. Together with his own “samurai” he has moved forward. I believe there are many who wished to follow but could not for a variety of reasons. For these people, this change in the road has been the hardest. I hope that someday Hitohiro Sensei will understand the hearts of the long time supporters who chose to stay behind. I hope he will be able to understand the pain in the hearts of those who could only stand on the sidelines and wave good bye. Hitohiro Sensei’s life is his own. Other people cannot really live it for him, or do anything about what is his to experience. Picking apart someone else’s life choices does not make tasty peanuts with a glass of beer or sake, nor will it bring happiness to those who have nothing better to concentrate their time on than someone else’s life. Celebration and forgiveness are a better way to happiness, and make much more delicious peanuts with a glass of beer or sake. Sake always tastes better with a happy heart. Hitohito Sensei’s father, the late Morihiro Saito Shihan was a hurricane of a man. There have been many Aikido shihan, but there has been no other single individual who has had such an influence on Aikido students through out the world. Morihiro Saito spoke his opinions openly and directly, even with Aikikai headquarters, no one else has had the power to do this. He had the power to still the complaints of lesser shihan in one stroke. There were many that feared him, which of course meant that there were many who disliked him; that just comes with the territory. No one that I know of was able to stand up to Morihiro Saito Shihan and confront or challenge him on an issue face to face. His death left an empty throne that sat many riches and much power. After his death, Hitohiro Sensei received the title of Iwama Dojo Cho Daiko (Interim Dojo leader) from Doshu at Hombu and set about the task of running Iwama dojo as his father had done before him. There were vultures in the air and hyenas on the ground however; those who dared not to speak out loud while his father was alive. With his passing they finally found a voice that spoke with unpleasantness and malice. Hitohiro Sensei endured those who spoke with malice, but had little patience for those who spoke poorly of his father. His actions were that of a son. With shoulders held high and with a slow deliberate walk, Hitohiro Sensei stepped off this path, bid farewell to Aikikia and founded Iwama Shin shin Aiki Shurenkai. At the celebration party there were many that should have been there but found reasons not to come. Even with a 56 year relationship between Aikikai, the Ueshiba Family and the Saito family, not one official representative was sent. One person did come from Aikikai, but made it clear that he came privately, not officially. This lone person from Aikikai was at least one small light shining on the future of possibilities. As I sat silently at the celebration, I noticed (with others), who was not in attendance and I thought about the saying “Aikido is Love”. Where was that concept now? Having sent someone officially representing Aikikai to this celebration would have showed wisdom on the part of Aikikai and kept the door to the future open if just a crack. Many wondered why this diplomatic door was not left open. The message that was sent instead was that Aikikai had totally cut ties with the Saito family. I have trouble believing that this idea would come from Doshu; he and Hitohiro played together as children. Giving the situation the benefit of the doubt, possibly Doshu’s position and duties kept him from acting on his personal feelings. Perhaps he was discouraged from sending someone by an Aikikai staff member, an action I submit requires closer examination of the one who suggested it. To some, the absence of any official Aikikai representation was proof enough that someone with sinister motives was working behind the scenes. That conclusion seemed to be unavoidable. 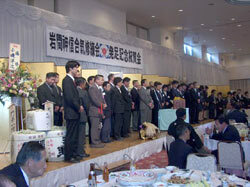 After Morihiro Saito Shihan’s passing, a problem arose with Aikikai concerning Iwama ranking and certification systems. This I believe was a “front face” on a larger, deeper problem; a problem that had plagued the relationship since well before the late Morihiro Saito Shihan’s death. The ultimate goal for actions dealing with this problem was the control of Iwama, and Hitohiro Sensei’s departure fell right into the plan. I know some of this first-hand as I was a witness. There is a term in Japanese that translates loosely as “a warrior’s compassion”, it is called “bushi no nasake”. In our sometimes callous world of today and yesterday, the concept of bushi no nasake is a reflection on the goodness in the spirit of man. In the days of the samurai, even the executioner followed this code, and when he took a head, it was done with such precision as to leave enough skin so that the head would not roll away from the body. It was a last dignity for the one who was to die. The act of hara kiri (seppuku or suicide by stabbing oneself in the abdomen) also has an application of bushi no nasake for the samurai. Hara kiri could only be performed by a samurai as a show of honor. Hence they were given the chance to make the first cut themselves. An able second would perform his duty with bushi no nasake by not allowing the head of the samurai to roll away. When a samurai fought to the death, it was his duty to care for the body of the looser of the battle by making sure it was returned carefully to the family or to a temple. Even in this basest form of human activity, the samurai conducted themselves with bushi no nasake. Through Zen Buddhism and Jukyo (Confucianism), bushi no nasake was taught to all of the samurai. This teaching accounted for much of their spiritual growth and development of character. The samurai were in the business of death, and they lived knowing that they could die at any moment. The opponents they faced were much like themselves; they all had families and trained in the same arts and principles. The one that won today could easily lose the next. In this context the spirit of bushi no nasake was forged. The Founder, Morihei Ueshiba was a master of the sword and his movements also reflected this kind of spirit. His movements were not like those portrayed in the movies with large swinging strokes. The cuts he made with a sword were small, usually to the top or underside of the wrist, armpit or neck; cuts that served to control rather than to kill. The only time his movements were large was when he demonstrated “ki musubi” or “ken no awase” techniques. Using his sword to control with a minimum of damage coincides with the teaching of Zen Buddhism. In Zen Buddhism,to kill or harm anything alive is considered a taboo, and yet a samurai’s job was to kill before being killed. What a conflict of ideas to have to resolve within ones self; especially when your life is on the line. What developed from this conflict of ideals was the sword techniques used by the Founder; that of controlling not killing. This style of swordsmanship is called Katsujinken and was taught by the Yagyu School to the reigning Shogun of the time. Supported by the Shogun, this style and philosophy was taught to all of samurai of the day. Today this philosophy is more commonly termed the spirit of bushido, of which Aikido has its origin. Even today this spirit is important especially for those in a position to teach Aikido. Any one that is regarded as a shihan must hold this concept of bushi no nasake dear and teach a way of harmony, not personal ambition. They must teach a way to avoid problems and conflict and find a way towards smoother resolution. In the days of the samurai in Japan, when a group of samurai attacked a castle, they always left one entrance to the castle watched, but not defended. In this way the women and children had a way to escape without harm from battle. This served not only to insure the future of the people; it went a long way politically for the victor. A king (daimyo) might be deposed and killed but by sparing the women and children, the men folk in the surrounding territory were more likely to accept a new ruler. This type of benevolent battle plan is famous in stories of the samurai. Bushi no nasake can also be part of a successful political strategy. A ruler that did not understand this concept of compassion was doomed ultimately to fail. As I looked around at this Founding Celebration, I felt a lack of the spirit of bushi no nasake in the actions of Aikikai. I do not condemn Aikikai, I just worry that for this important institution, a strategy without bushi no nasake will not fare well for its future. I personally saw the signed and stamped agreement between Aikikai and the Saito family which governs the future use of the Iwama dojo and Aikishrine. The ink has dried on those papers and the stamps are in place. Everything is clear. Disregarding any personal bitterness wouldn’t an official gesture of support for this celebration been the wiser action to take? I find it disheartening that no one at Aikikai Hombu offered the wisdom of this council to Doshu.Some say that Hitohiro Senseis’ leaving was unwarranted and that he left of his own accord. Other that say it was a bloodless take over and he was forced to leave. I say, he is already on his own path, there is no reason to throw stones. This should be a celebration of life and courage if nothing else. It looks bad for those whose hearts were not clear enough to realize this and come to give their best wishes. Time to lighten up a bit! The Celebration itself! The 350 people in attendance began the evening introducing themselves to those seated around them at their tables. The celebration was kicked off with the Kagami Wari ceremony (breaking of the sake tub) and an official toast. Spirits were high and everyone was getting into a happy party mood. The “Master of Ceremonies” called for the attention of the crowd, and all eyes turned to the stage. There stood a man, small in stature, but with a presence that soon made the room grow quiet. It took a few seconds for someone to clap, but soon the applause became quite vigorous and loud. The gentleman who commanded the stage was Yoshinkan’s Kyoichi Inoue Kancho. He bowed to everyone present with a deep dignified bow and began talking in a calm deliberate voice. He spoke of his relationship with Iwama and the Saito family. “My teacher, Gozo Shioda Sensei, the Founder of Yoshinkan Aikido was close friends with Morihei Ueshiba. After WWII, the Shioda family returned to Japan from China and lived for a while at the Iwama dojo. He was also close friends with Hitohiro’s father the late Morihiro Saito Shihan. I have also known the Saito family through visits to Iwama with my students from the Metropolitan Police Department. As part of special seminars, I accompanied my students on a trip to Iwama to visit the Aiki Shrine to pray. 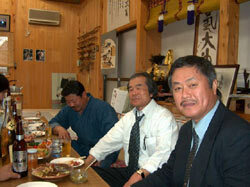 Every time we visited, Saito Shihan welcomed us in grand fashion and offered us every hospitality. I will always have fond memories of those times.” Inoue Kancho went on to give his well wishes to Hitohiro Sensei with humor and wisdom. I don’t know why it sometimes seems that the Japanese people have lost the sense of dignity, honor, loyalty and purity that is evident in Inoue Kancho. I can’t quite define his wisdom but it was very evident in his calm voice and quiet presence. I first met Inoue Kancho in September of 2003 at the Aiki Expo in Las Vegas. After living such a long time in the United States, I wasn’t quite sure how to greet a man of his stature. Should I bow? Shake hands? He answered the question for me as he bowed in a very dignified and humble manner for a man of his position. This first meeting left a deep impression on me. Meeting him again in Iwama as part of this celebration was an honor, and I was humbled by his friendly and familiar manner. The undercurrents I had been feeling at this celebration seemed to melt away in Inoue Kancho’s presence. He seemed very big and bright with a true spirit of wisdom and celebration in his heart. He greeted those around him with true sincerity, and as I watched him, he made a special visit to the Saito family table to pay his respects to the widow of Morihiro Saito Shihan. He was especially kind and gentle with her; an image that will stay with me long after this celebration has ended. Judging by the way his attending otomo stood at attention and jumped into action every time Inoue Kancho moved, I gathered that during practice Inoue Kancho was a strict and dominating instructor. Seeing him by the side of Mrs. Saito I appreciated the change to learn from a leader such as him, this was indeed a special opportunity. Inoue Kancho takes the stage. 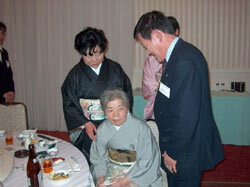 Inoue Kancho greeting Mrs Saito, the widow of the late Morihiro Saito Shihan. Maruyama Sensei knows very well the struggles of the pioneer days and the harsh realities of stepping out onto ones own path. He has been nicknamed the “Silent Pioneer”, a title that amuses him in many ways. Maruyama Sensei was my first Aikido instructor when I began my practice at the age of 14. Our relationship has lasted over many years and remains a strong one. Earlier this year, during a phone conversation with Maruyama Sensei the subject of Hitohiro Sensei’s upcoming Founding Celebration came up. I asked him in passing really, if he would like to attend. “I don’t know the son” he replied, “but I did know his father and believed him to be a good person. Let me think about it”. His answer surprised me, knowing that Maruyama Sensei rarely attends events outside of his own organization. I found myself even more surprised standing in Ueno train station in Tokyo on the eve of the celebration event, waiting for his train to arrive. Finally, I could see him hurrying toward me with his bag hung over his shoulder. I did not plan it, but I was delighted he had taken the time to come. If you really think about it, Yoshinkan Aikido, Tomiki Aikido and Ki no Kenkyukai (Ki Aikido) all became independent from the Founder in much the same way Hitohiro Saito Sensei has now declared his independence from Aikikai. Throughout the history of Aikido these independent starts have taken place and people have stepped out to follow their own path. It is difficult part of our human experience to find yourself parting ways from people that you have practiced with, worked with towards common goals, even people that you have pledged your loyalty and allegiance to. I think only someone who has experienced this can truly understand it in depth. It is a time to say good bye not only to one’s teacher, but to all of one’s friends and companions that have traveled with you. I think that this Founding Celebration brought back memories for Maruyama Sensei, memories of the hard times when he walked a path alone. I think it touched his heart, and it was with a real understanding that he joined this celebration. He had a marvelous time by the way, and was well received by Hitohiro Sensei and others. On the way back to our hotel after the celebration he said to me “People have this opinion and that opinion, they say this and that but at least there were 350 people there. When I became independent there was no one. I was alone, and it was a very difficult time”. I have known Maruyama Sensei for more than 40 years, and this was the first time I have ever heard him speak of the hard times in his life. He continued, ‘To work hard together with people, endure tough experiences together and then say goodbye is a very difficult thing to do. There was no choice for me. It is difficult to explain, my life cannot be so easily summarized in a paragraph for Aikido Journal (sorry to the Journal from the author). When the time came for me to become independent from Yamada-san, Kanai-san and Shiohira-san, I think it was hard for everyone, but none the less, it was inevitable”. Enjoying each others company Maruyama Sensei, Hitohiro Sensei, and the author. Hitohiro Saito Sensei, you are still young. There are hard times ahead for you. You said this yourself, and you are correct. There are problems ahead because you are young, and it is also because you are young that you can overcome these obstacles. Everyone has gathered here in Iwama for your celebration for their own reasons, brought about by their own thoughts and experiences. Don’t forget as you go forward the importance of Iwama and its place in the history of Aikido. Look past the petty ambitions and shortsightedness of a few and remember the over all pride you must have for your birthplace. Go forward and show a beautiful samurai spirit to the world and keep the name of Iwama with a larger sense of pride. 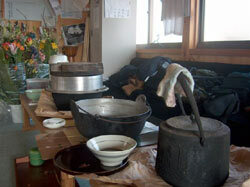 Aikidoka from all over the world came to Iwama for your celebration. Remember that Aikido is no longer only a Japanese martial art, but is owned by the world. If you let the small town opinions of others govern your actions, you cannot be global in your reach. Walk straight and proud down the center of your path. There will be many there to support you in your future. In closing, I would like to speak to former Iwama uchideshi world wide. If you have chosen not to follow Hitohiro Sensei, there is no need to feel guilty; that would be an undue pressure on yourself. Everyone needs to make their own choices, but make your choices with the spirit ofbushi no nasake. I have heard stories that have saddened me recently about long time students and instructors of Morihiro Saito Shihans that said to Hitohiro Sensei “Your father taught me more than he ever taught you”. I heard another story of an Aikido Instructor and long time student of Saito Shihan who used the Aikido media to publicly announce that he would not follow the son Morihiro Saito Shihan. I do not see the need for these kinds of actions. They speak badly of the ones who take them. Morihiro Saito Shihan’s teachings and influence helped make a life for many students who became instructors under him. Many have gone on to achieve notoriety on their own. I think it is always important to remember where one came from; who gave you a beginning. No one teaches themselves, or grow completely on their own. The shugyo practiced at Iwama for uchideshi is a tremendous experience that teaches more than just technique; it teaches about the martial art spirit. Soon it will be the second memorial remembrance for Morihiro Saito Shihan (In Japan, a first memorial ceremony is held one week after someone dies. Therefore if this ceremony is counted, the April 27, 2004 memorial is actually the third). This year the memorial will be held on April 27th. This is a good time to send a gift of flowers to lay at his memorial altar. Sending flowers is a gesture of humanity, not politics or affiliation. Sometimes a flower can reach across many miles and confirm the connection with memories held dear. The one who would be most touched would be his son, Hitohiro Sensei. I spoke directly, “Hitohiro Sensei, lets get the rice cooking, and start that nabe (Japanese pot dish), if you are hungry you cannot go into battle”.